We are located in Nova Scotia’s beautiful Annapolis Valley just 1 km east of the town of Middleton (which is known as the Heart of the Valley). We are proud to offer Atlantic Canada’s largest collection of DISCONTINUED CHINA PATTERNS & SILVERPLATE FLATWARE. Our shop has been in business for over 25 years. Our reputation is well known for our top quality merchandise and excellent service. We also offer a CHINA & SILVER REGISTRY for your convenience. If we do not have your requested pattern in our inventory, we will automatically place your name and the items you require in our REGISTRY and when they become available you will be notified. 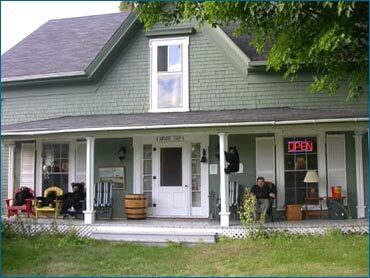 We invite you to visit our friendly store when you are in the area, relax at one of our many fine restaurants and enjoy the wonderful scenery that our part of the province has to offer.